Action Réfugiés Montréal works with refugees who are seeking justice and safety in the greater Montreal region. ARM’s knowledgeable and caring staff understands Canada’s complex refugee laws and regulations, and knows how to best support people going through the refugee process. ARM serves the refugee community through private sponsorship, helping refugees get permission to come to Canada and providing assistance with orientation and adjustment upon arrival. It helps create a social support system for women through its Twinning Program which matches refugee women with female volunteers, generating friendships and connections through regular meetings. 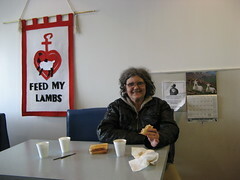 ARM plays a unique role by visiting people in the Refugee Detention Centre – asylum seekers whose identity is being verified, failed refugee claimants, and immigrants awaiting deportation. Staff provide accurate legal information to detainees, make sure that they are being treated fairly and pay particular attention to vulnerable detainees such as pregnant women and children. ARM acts as a strong voice for refugees by providing education and advocacy to the broader community. It takes action through letter writing to government bodies and uses the media to connect refugee issues to the larger population. 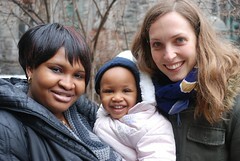 Presbyterians Sharing supports the work of Action Réfugiés Montréal as it provides assistance to vulnerable people who have already undergone much hardship, promotes justice and helps Canadians learn about the plight of refugees. Through ARM’s outreach, God’s work is done. Montreal’s Tyndale St-Georges Community Centre offers empowering, supportive programs and services to the community of Little Burgundy in the south-west part of the city and beyond. 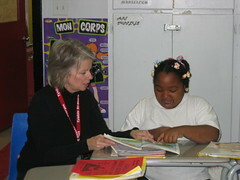 The center is a presence in the community, accompanying people through their struggles and successes. Tyndale St-Georges is equipping and empowering people who live in a community affected by poverty, violence, addiction, gang involvement and low education levels. Its academic, recreation and leadership programs help people address the root causes of these problems. Homework support, specialized tutoring, computer training, language classes, school advocacy and career mentorship provide education opportunities for people at all levels.Tyndale St-Georges works to fulfill a vision – that every child in the community who enters high school leaves it proudly, diploma in hand; that each newly arrived immigrant finds in Tyndale the tools necessary to become a productive member of Montreal society; that each new parent gets the support needed to nurture the first few crucial years of their newborn’s life; that each citizen eager to work builds a fulfilling career through Tyndale’s employment programs and services.Your gifts to Presbyterians Sharing help Tyndale St-Georges Community Centre empower the thousands of residents who walk through its doors every year: the exuberant children who come for academic help, the promising youth who participate in leadership programs, the newly arrived immigrants who take part in the Retail Sales Training, and the new parents who gather with their little ones for Early Childhood activities providing instruction, education and play. 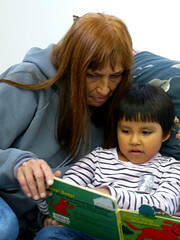 Saskatoon Native Circle Ministry provides a warm and safe place where people in inner-city Saskatoon can gather for food, friendship and support. SNCM reaches out to the Native population through culturally sensitive worship services, a healing circle, and crisis and spiritual counselling. Staff work to assist those who are in need physically, spiritually and emotionally. Their main goal is to establish a relationship of trust and care with street people so that they may feel comfortable enough to attend a church service that includes with Native traditions; a place they can call home and a people they can call family. KFC is working to improve mental health, and places a strong value on the healing and therapeutic properties of the arts. 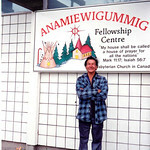 Presbyterians Sharing Anamiewigummig as it reaches out and serves First Nations peoples in Kenora. 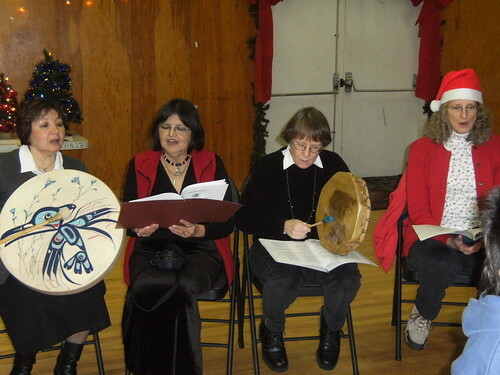 Hummingbird Ministries is an Aboriginal healing ministry located in the lower mainland of BC. It is committed to walking with Indigenous people in their healing journeys and to promote healing and reconciliation between Indigenous people and the Church. The two-point charge of St. Matthews Church and Hardwood Lands Church in Nova Scotia is working together to discern the path of its congregations during a period of transition. At St.Matthews-Hardwood Lands love for each other is expressed in practical ways through respect, forgiveness, affirmation and compassion. This ministry serves the community through regular worship, bible studies, church suppers, teas, congregational breakfasts and Vacation Bible School. Its mission and outreach programs support local, national and international initiatives. The churches enjoy a mix of fellowship and laughter, blending old-timers and newcomers as one community serving the Lord. Presbyterians Sharing supports St. Matthews and Hardwood Lands Churches as they continue to discern their path and respond to the call of the Lord in their communities. Église Presbytérienne St-Luc is a francophone Presbyterian presence in the heart of Montreal. This church’s membership is made up of people from many cultures: European, French Canadian, African, Malagasy, Haitian and Cuban, to name a few. They treasure their diversity and make sure that every culture participates in the expression of worship. Three Sundays out of four they have a traditional service. 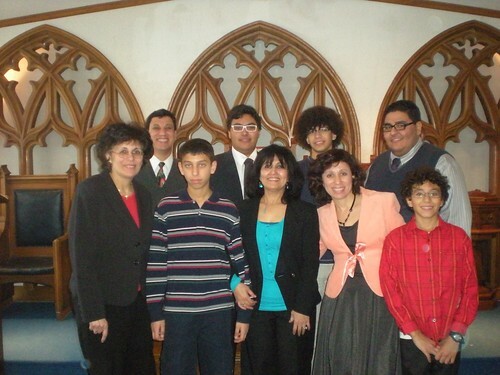 The third Sunday of every month is a family worship service where a contemporary and more relaxed format is applied. 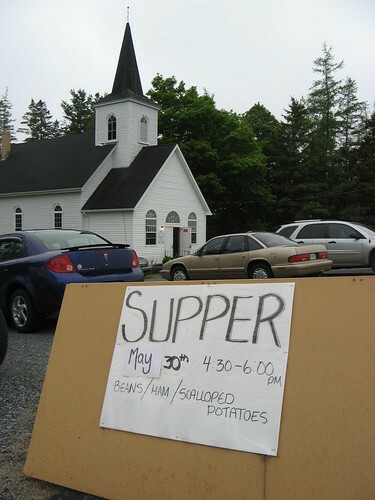 After the service, worshippers are invited into the church hall to share a potluck meal. This casual context allows for development of community and friendships, and the service has higher attendance than regular Sundays. 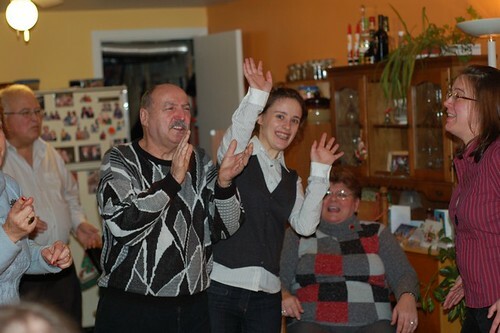 Every Thursday, St-Luc runs Les Jeudis de St-Luc (St. Luc’s Thursdays) at the minister’s home. Biblical and spiritual activities take place from many cultural traditions, and include Taizé chants, meditative prayer, Bible study and spiritual and meditative reading of the Bible. The church’s participation in a radio broadcast, ‘Les Chemins Protestants’, allows them to be heard by a broad audience and sometimes draws newcomers to the church. Presbyterians Sharing supports Église St-Luc as it works to meet the need for spirituality and community among the French Québec society. Sohrae church was planted in 2002 in order to reach out to the growing Korean population in North York, Ontario. There are now over 100 members and adherents, including children and youth. Music plays a very important role during weekly worship. Hymns are played by various instruments, including piano, violin, cello, flute and bassoon. Pieces are arranged by the minister. Sohrae is involved in a very unique community outreach program. In 2002, Sohrae’s youth group formed the Sohrae Youth Orchestra to play at worship services. The orchestra has grown to include 55 student volunteers, and has become an independent non-profit organization. Auditions are open to Korean students, regardless of religion. While it is no longer directly part of Sohrae church, the church sees the orchestra as an evangelistic mission tool that reaches out to the community through music. An annual fundraising concert that raises money for local charities has become one of the biggest yearly events in Toronto’s Korean-Canadian community. Presbyterians Sharing is supporting Sohrae Korean Presbyterian Church in its unique ministry. People from many different countries attend the Sunday service, including Egypt, Sudan and Ethiopia. Presbyterians Sharing is helping Almanarah Mission to reach out to Arabic-speaking people in Hamilton so that they might worship in their own language.